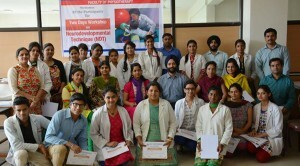 WORKSHOP ON NEURODEVELOPMENTAL TECHNIQUE (NDT) by Dr Harpreet, Neuro Physiotherapist working at AIIMS,New Delhi. 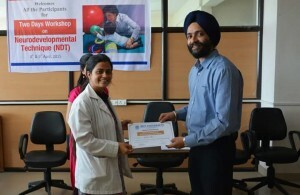 He is a certified PNF& NDT trained therapist from USA. Faculty of Physiotherapy organized a 2 days workshop on “Neuro developmental Technique” a treatment approach meant for management and treatment of the patients with Adult Hemiplegia on 8th &9th of April 2015.Workshop was attended by students of BPT, MPT and Physiotherapists from Other Hospitals& Institutions. 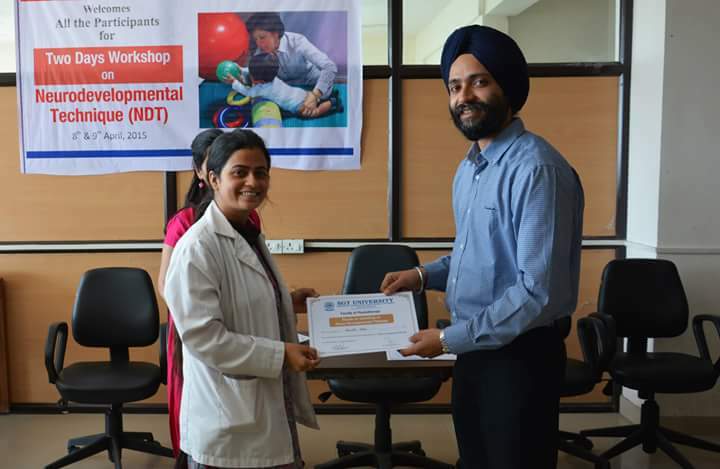 In the workshop Dr. Harpreet took the basics of NDT on Day 1 followed by hands on training techniques for the patients with adult hemiplegia on Day 2.Later on the day certificates were distributed to the students by Dr. Harpreet & Dean Faculty of Physiotherapy, Dr. Joginder Yadav.